Hey there, Sweetie! It’s me again, dropping by from Keep it Simple, Sweetie to share a delicious and easy weeknight meal. I discovered a variation of these yummies in college, and they instantly became a staple in my “recipe rotation” because they are SO easy and SO tasty! After 1 or 2 times cooking them yourself, you’ll have the recipe memorized. Plus, all of the ingredients are things you probably always have in your fridge! Combine the mayo, mustard, milk and a pinch of salt and pepper. Add the chicken and stir until completely covered. 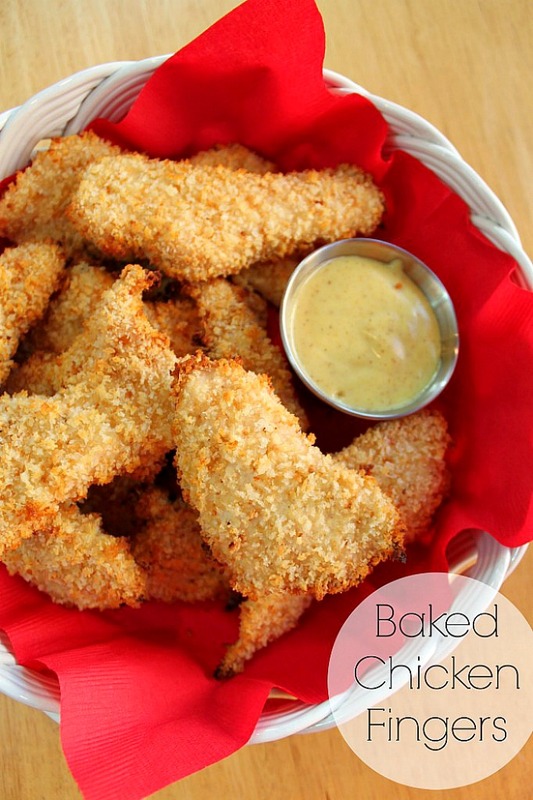 You can marinate the chicken in mustard mixture for up to an hour before breading and baking. Melt the butter over medium heat and toast the panko crumbs until lightly golden. 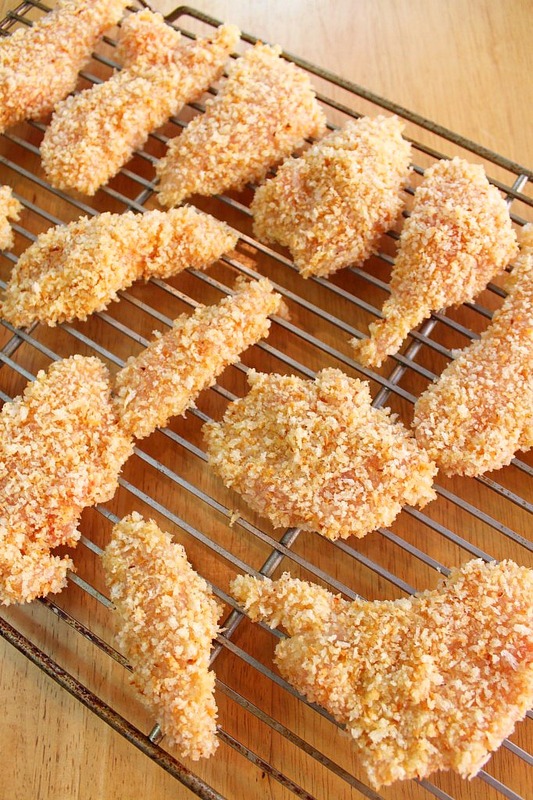 Cover each chicken finger with the bread crumbs and place on a greased cookie sheet or greased cookie drying rack. By baking the fingers on a cookie rack it allows the fingers to cook evenly on all sides and there is no “bottom burning”. Bake the fingers for 8-10 minutes, until cooked through. Cook time will depend on how large you cut the chicken so always test one to confirm they are done! 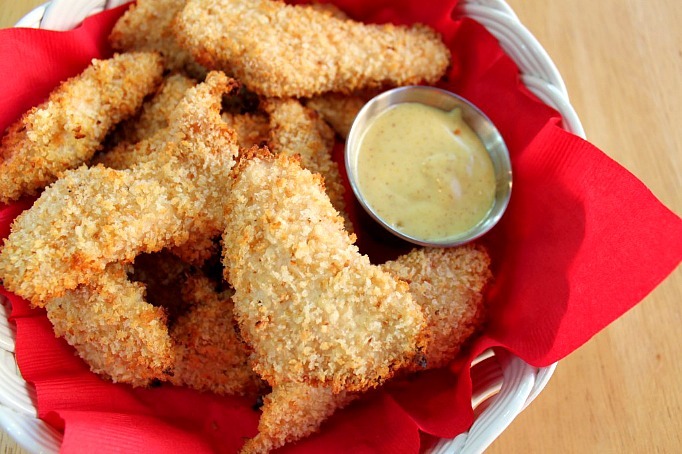 Sprinkle with salt and serve with honey mustard dressing (or set aside some of the mayo/mustard marinade before adding the chicken) for dipping! Be sure to check out the rest of my easy and delicious recipes over at Keep it Simple, Sweetie!